Dr. Carlos A. Steren received his Ph.D. in physics in 1990 at the University of Rosario, Argentina. After a postdoctoral stay at the University of Massachusetts in Boston (1992-1995), he joined the National Laboratory of Solid State NMR at the University of Córdoba in September 1995. From 2002 until 2006, he was a Visiting Assistant Professor at Carnegie Mellon University. 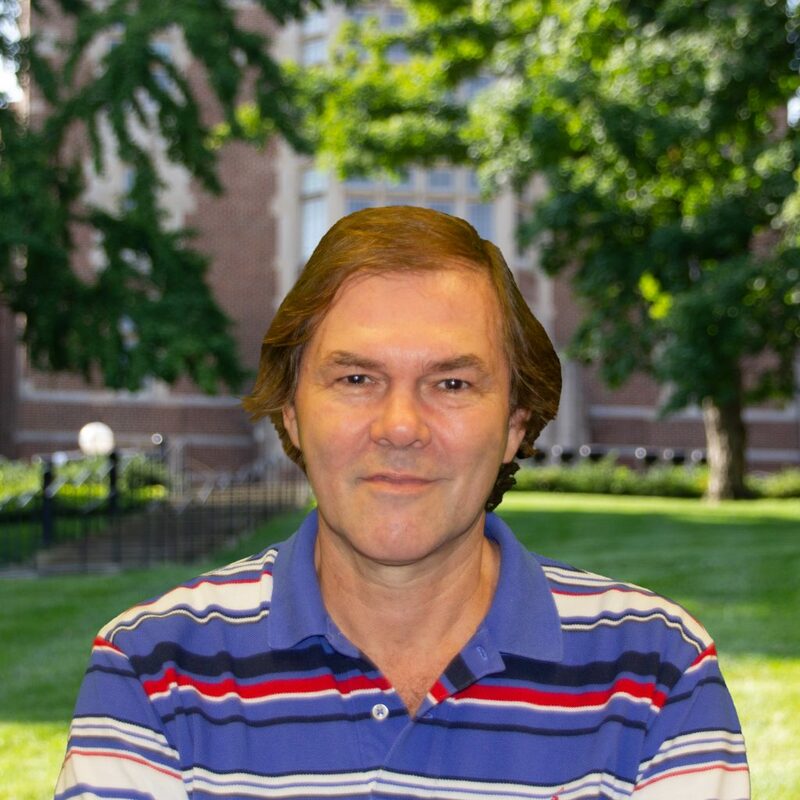 Since 2006, Dr. Steren is the director of the NMR facilities at the University of Tennessee, Knoxville. His main research activities included protein structure elucidation by NMR, the study of elastomers by solid-state NMR, development of NMR hardware for low-field NMR, and pulsed and continuous-wave electron paramagnetic resonance. 40.- High Temperature Thermoplastic Elastomers Synthesized by Living Anionic Polymerization in Hydrocarbon Solvent at Room Temperature. Weiyu Wang, Ralf Schlegel, Benjamin T. White, Katherine Williams, Dimitry Voyloy, Carlos A. Steren, Andrew Goodwin, E. Bryan Coughlin, Samuel Gido, Mario Beiner, Kunlun Hong, Nam-Goo Kang, and Jimmy Mays. Macromolecules, 49(7), 2646-2655 (2016). 39.- Preparation of all N-coordinated zirconium amide amidinates and studies of their reactions with dioxygen and waterAdam C. Lamb, Zheng Wang,Tabitha M.Cook, Bhavna Sharma, Shu-Jian Chen, Zheng Lu, Carlos A. Steren, Zhenyang Lin, Zi-Ling Xue. Polyhedron, 103A, 2-14 (2016). 38.- Syntheses and Characterization of Tantalum Alkyl Imides and Amide Imides. DFT Studies of Unusual α-SiMe3 Abstraction by an Amide Ligand. Seth C. Hunter, Shu-Jian Chen, Carlos A. Steren, Michael G. Richmond and Zi-Ling Xue. Organometallic, 34(24), 5687-5696 (2015). 37.- C_H Bond Activation during and after the Reactions of a Metallacyclic Amide with Silanes: Formation of a m-Alkylidene Hydride Complex, Its H–D Exchange, and b-H Abstraction by a Hydride Ligand. Li Wang, Seth C. Hunter, Zhimin Song, Carlos A. Steren, Tianniu Chen, Zhenhong Wei, Hu Cai , and Zi-Ling Xue. Chemistry, an European Journal 20(20), 6033–6039 (2014).